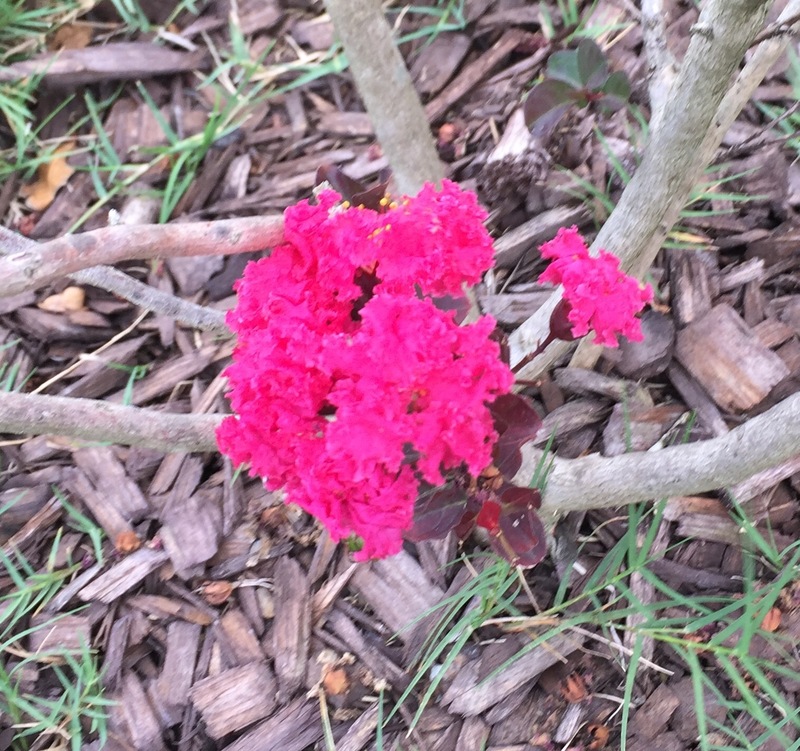 A month ago, my crape myrtle was full of blooms — beautiful, pink, velour-like blooms. They’ve mostly been gone for the past few weeks, until a couple days ago when I noticed a corsage-size bunch of them blooming near the bottom of the shrub. I don’t know if it’s normal for crapes to flower more than once a season, although I remember DirtNKids blogger Shannon (who also lives in Texas) saying that hers had shed its old leaves and had new green and bloosoms. I don’t recall my crape losing any leaves, but it definitely has a lot of flower buds just waiting to open. I can’t wait to see what it will look like when it gets bigger; it can’t be more than 3 1/2 or 4 feet tall, if that. My back yard will be bursting with pink velour. What a pretty — and fuzzy — thought! 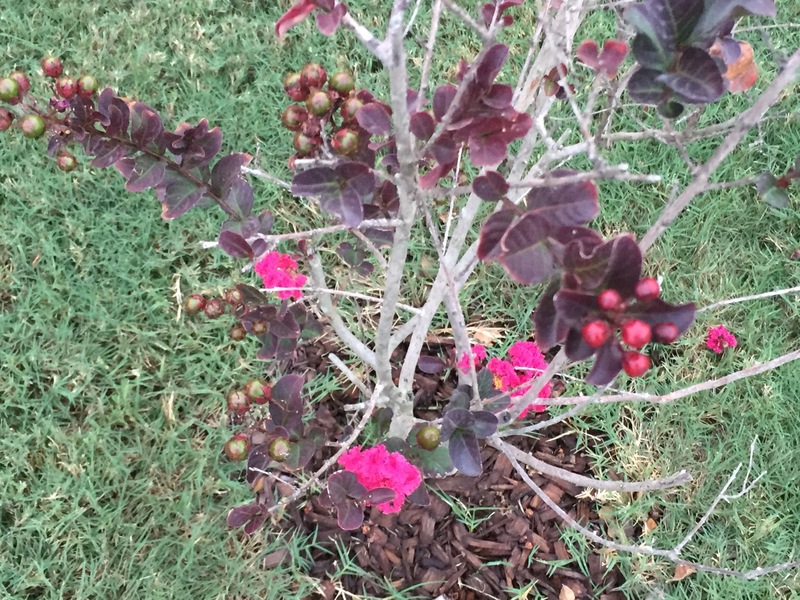 This entry was posted in Gardening, Seasons and tagged crape, crepe, flowers on October 21, 2015 by Julie Riebe. Yes, still plenty of bermuda around. I don’t think we’ll ever get rid of it! Isn’t it funny? My crepes are looking great right now! But they’re still shedding leaves.